Graffiti is extremely creative, and just about every teenager in the world loves it. 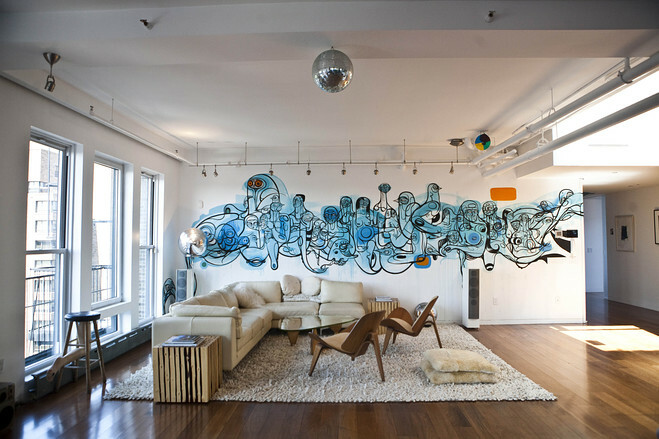 Graffiti on the wall gives a very highly strung look and also portray the urban style to the world. This is a very inexpensive option as well, you just need to buy some spray paints, and you’re ready to go. You need to be an experienced graffiti artist before you start practicing on a wall, so get some cardboard on the floor and see how good you are. Some ideas for graffiti could be your name or song lyrics. Now, the colors for the art are totally up to you, you can use every bright color or just stick to black, every color – when related to graffiti looks good. 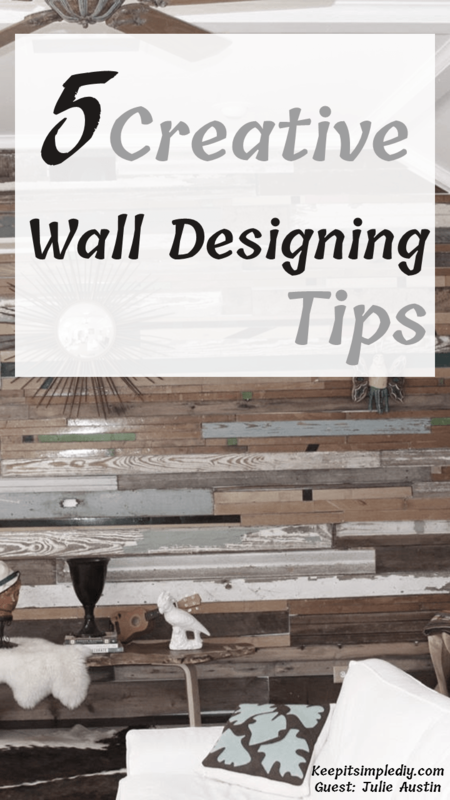 Wood is a much-underrated way to design walls, however many people have started to use it as wall décor now. If you have access to a barn or have old palettes of wood, do not throw it into the fire because finally, you are in luck. All that wood that you probably thought would be wasted can be renewed with zero expenses. 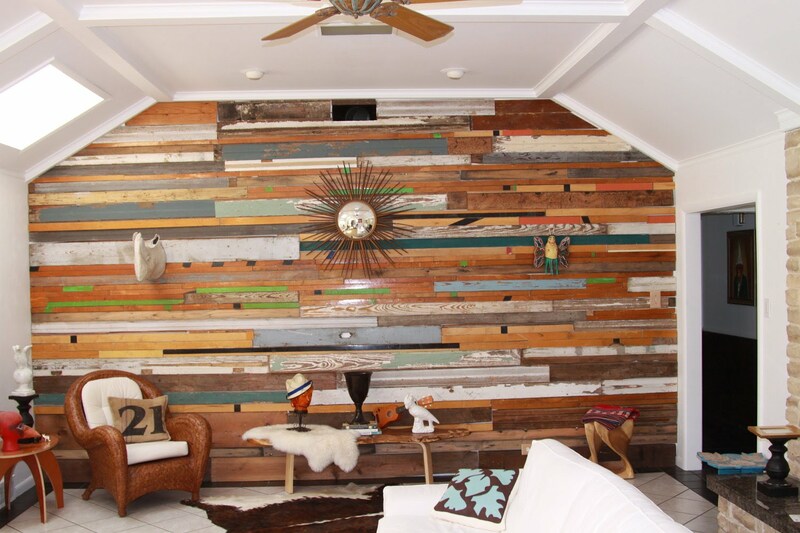 Use that wood to create a wall, full of headboard; try to organize the pieces into a smooth and neat wall. You’ve always thought that the way to paint a wall was to paint it right literally? You were not right; you can use color strips that are available at the home improvement center and stop it from going to waste. 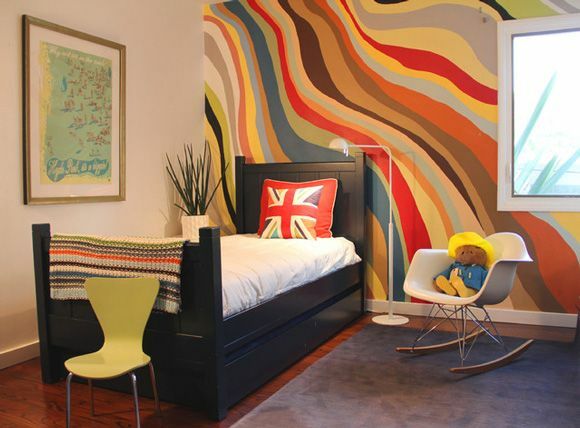 After getting the paint strips, use a small amount of poster putty to glue the strips to your wall and create a pattern or stick with ombre; it’s totally up to you. Not many people are used to this idea which means you’re actually getting quite creative now. This one will go extremely light on your wallet keeping in mind what it will be used for. 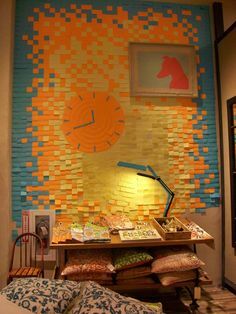 You can use colorful post-it notes on the walls and create whatever design you would like to or even can go for a pattern. If you have something complicated in mind, before starting to make a rough sketch on paper and then begin on the wall. Make sure you use good quality glue so the post-it notes stick to the wall very well and you don’t have to worry about them coming off every day. If you love flowers and want your room flooded with the scent of heavenly smelling flowers, this one is for you. Go to the flower shop and buy as many flowers as you can afford, now get some removable mounting squares to stick the flowers to the wall. You can put the flower up along with the stem or can only use the petals; it’s up to you. Spread the flowers out across the wall and start sticking them up, but if you don’t want to do that, you can tape them together in a bouquet and then glue them to the wall. 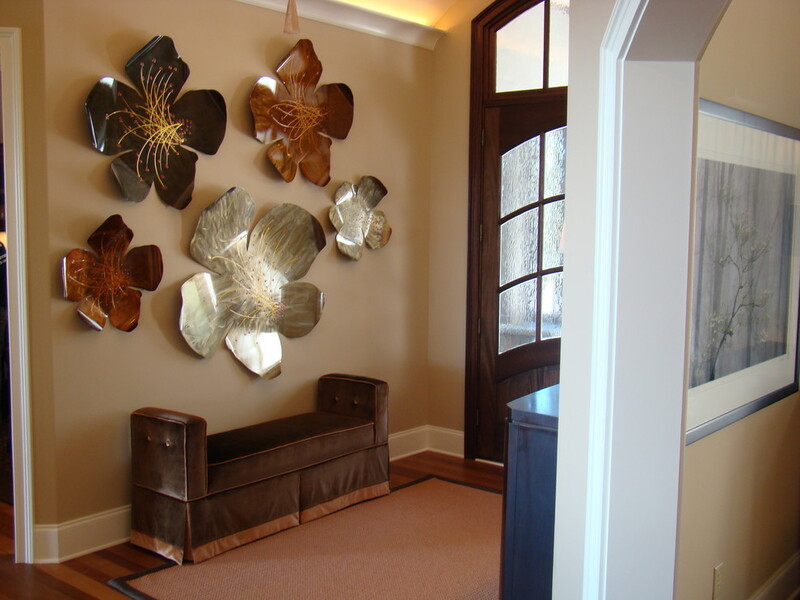 This is a very inexpensive way for wall décor. Julie Austin is a blogger who loves to write about home improvement. She is sociable and kind and loves to decorate almost everything! In her free time, she enjoys sunset with her friends at the seashore. Read her posts at http/nurserygliderz.com/.